REGISTRATION FOR 2018 IS CLOSED! An Outlander Event Like No Other! HOME. That’s what Jamie & Claire will find in Season 4 of Outlander. And if you have read the books, you know that home for them will be the breathtakingly wild and beautiful backcountry of North Carolina. Come along with Outlander North Carolina September 20 -23, 2018, as we walk in the footsteps of Jamie & Claire on The Ridge. Unlike any other Outlander event, A Fraser’s Ridge Homecoming focuses on the 18th century history of Jamie & Claire’s North Carolina Wilderness Backcountry. Your time on The Ridge starts on THURSDAY, September 20, 2018, at noon with registration at our beautiful venue, Leatherwood Mountains Resort. After that, you can explore on your own, take a walk, rent a bike, relax, or whatever suits your fancy. Wanna be like Jamie & Claire? Then take a guided horseback ride through the mountain trails at Leatherwood. Do you have your own horse? Leatherwood offers stables for boarding. Don’t want to ride a horse? No worries! You won’t want to miss the self-guided tour of Craigh Na Dun Cabin which will be open from noon until 5:00 PM, complete with an Outlander exhibit and it’s very own standing stones. Be careful because we will be very close to the autumnal equinox! We wouldn’t want you to go through the stones and miss our “Hello The House” Welcome Reception at Leatherwood’s Hemlock Stage where you will enjoy a welcome by the White Sow herself, some tasty hors d’oeuvres, 18th century Scottish tunes performed live by Bafford & Bafford, and a chance to connect with and get to know other obsessed Outlander fans! Before you head back to your accommodations, you’ll learn how Claire, Brianna & Marsali would have dressed in North Carolina’s 18th century backcountry. Following breakfast on your own FRIDAY morning, grab your lawn chair or blanket and get ready to follow us to Whippoorwill Academy & Village. Whippoorwill Village is a collection of 18th & 19th century North Carolina original buildings which have been saved and restored. You will feel as though you have fallen through time while experiencing the fun-filled day the good folks at Whippoorwill have planned especially for us rabid Outlander fans! We’ll get started with a Clan Candle Lighting Ceremony followed by guided tours of all the cabins and buildings. When you’re not touring, you can witness all sorts of 18th century living history demonstrations, an Outlander art exhibit, live mountain music, storytelling, Scottish games, whiskey tastings, and much, much more. To add to all of the history, you’ll be treated to a wonderful 18th century lunch which will be served on the grounds! After leaving Whippoorwill, the rest of the afternoon is on your own. You may want to tour Fort Defiance, the 18th century home of General William Lenoir, a Patriot officer who fought in the battle of King’s Mountain. Could his home be what the Big House looked like? Will Jamie make General Lenoir’s acquaintance in Book 9 as one of the Overmountain Men? Perhaps, you just want to head back to Leatherwood to hear a discussion on Scottish emigration to North Carolina or genealogy…or maybe you just want to do nothing for the remainder of the afternoon? We won’t judge! That evening at the Hemlock Stage, Leatherwood will be hosting Rosamund Lindsay’s Beans & Barbecue Dinner for us. You may remember “Beans & Barbecue” from The Fiery Cross? While enjoying some good ole North Carolina pit-cooked BBQ, we will be entertained by Celtic Connections, a band which has played at the internationally acclaimed MerleFest! And before you head off to bed, you’ll want to hear what the White Sow has to think about this particular evening and it’s menu! Get ready to be taken back in time again on SATURDAY! After breakfast on your own, meet us at Leatherwood’s Covered Pavillion where we will be hosting a plethora of entertainment. We will start our gathering with a live rendition of the Outlander theme song. Then listen to an 18th century mountaineer, learn about 18th century goat soap and cheese making plus drop spindle spinning, learn to do a Scottish country dance, hear and see the ancient stories, music and dance of the Cherokee, and take a ride with the Overmountain Men as they recall their march over and through the North Carolina mountains en route to battle the British at King’s Mountain. And if that isn’t enough, we’ll be treated to a recorded Q & A session by Àdhamh Ó Broin, the famed Gaelic instructor for Outlander and Gillebride MacMillan, the bard of Leoch! Questions to be provided by YOU, the attendees, in advance! Lunch is on your own or four-day ticket holders may pre-order a box lunch at check-in. During the entire day, we will also be hosting a Silent Auction to benefit Sky Diamond Rescue, a North Carolina 501(c)(3) organization which rescues dogs and horses. That evening, Leatherwood’s Covered Pavillion will also be the site of “Jamie & Claire’s Wilderness Celebration”. Come dressed in your Outlander costume for an evening the residents of Fraser’s Ridge would have loved! Our band for the night, Bandit’s Roost, will provide a lively, colonial tavern-like performance while we enjoy Outlander-inspired drinks and wilderness-inspired appetizers followed by a one-of-a-kind buffet dinner fit for Himself and Herself! After dinner, we will be taken into the realms of selkies, ghostly apparitions and tales of true love by a modern-day minstrel who will share original faerie tales, retellings and poems filled with mystery, magic, music and Celtic folklore. Our time on The Ridge is quickly coming to an end on SUNDAY. But after breakfast on your own and before you leave us, we have one more special treat for you. Meet us back under Leatherwood’s Covered Pavillion, where will we experience the story of Ireland’s most revered female saint, St. Brighid of Kildaire, through blessings, songs and poems. After you have said your good-byes to all your new friends and before you leave The Ridge, you may want to tour Fort Defiance if you were unable to do so on Friday. Fort Defiance is open for guided tours on Sunday from 1:00 to 5:00 pm. Or you may want to head up to the Blue Ridge Parkway where the views will amaze, or visit Blowing Rock, Grandfather Mountain or points between and beyond. *Please read our Refund & Cancellation Policy. Although not required, we do encourage everyone to stay on site at Leatherwood Mountains Resort in order to “feel” the experience of The Ridge. To receive a $25 discount on the reservation fee, please contact Leatherwood by phone at 800-4NC-MTNS (800-462-6867) and let them know you are booking for this event. You may preview their available cabins on their website here. Cabin sharing is highly recommended. Check out our FAQ’s for more information on Leatherwood cabin rentals, hotels and other accommodations in the area. Still rather stay offsite? You can! Check out some of the other area accommodations by clicking HERE. Click here for ticket options! Got more questions? We have answers! Check out our Homecoming FAQ page by clicking HERE. 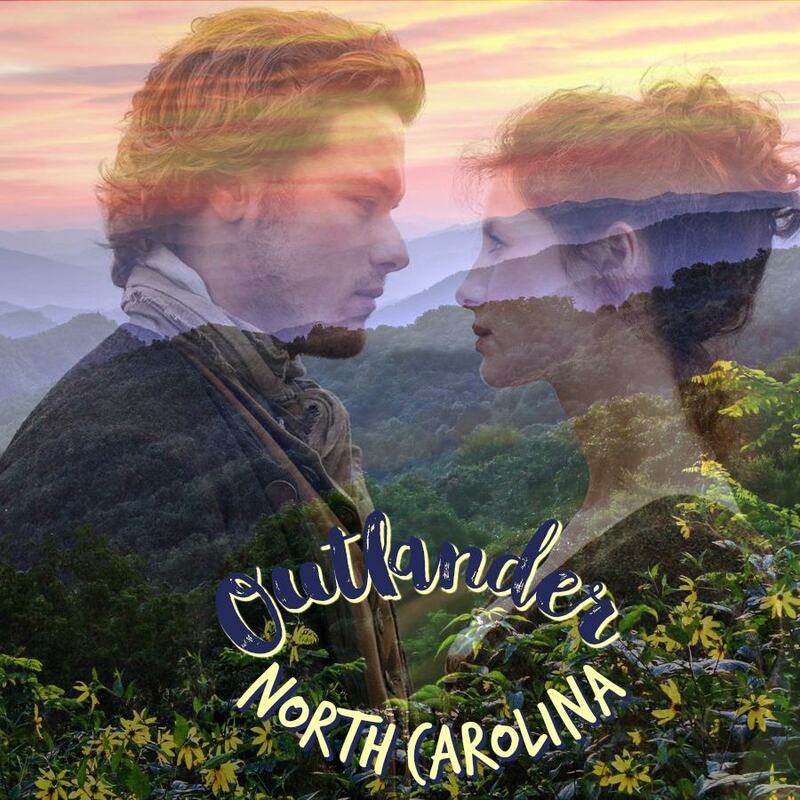 So, Sassenachs, are you ready to come home to North Carolina? We’re waiting on YOU … to come home!! !